Location was perfect for the beaches. Spacious room. Good location near beaches Clean Receptionist and bus driver were very kind and very helpful , they gave us a lift towards the harbor. 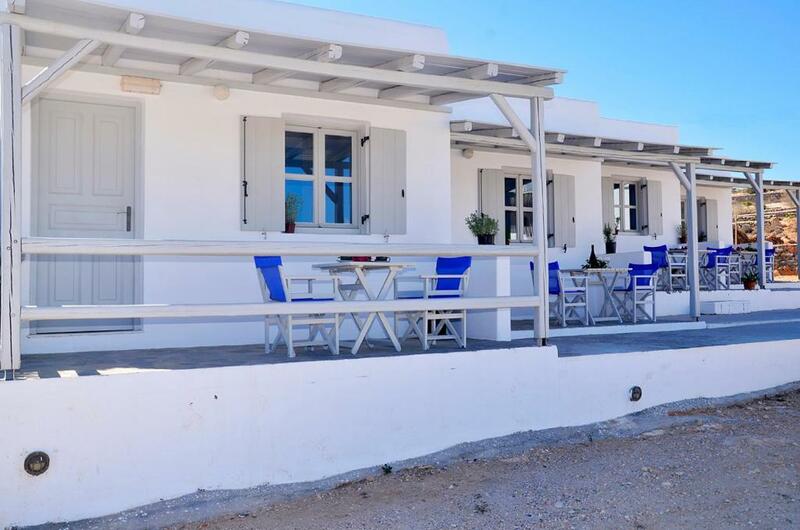 Location, near the best beach in Koufonissia, makes this property worth it. We were in apt "20" (that is what was on the key, no marking on the door or name), and it had a lot of room outside for gear, bikes, etc. They allowed us to use the pool at the Hotel Paradiso, which was key for the happiness of our 10 year old, and for accessing the internet. Right by the beach and a cafe. I was given the opportunity to view 3 properties and was upgraded to their Paradise location. location was far from town but very close to the beach. the staff were friendly and picked us up from the port. Located near the beach. Very kind shuttle-driver. Very close to the beach and water taxi docking point. Polite staff and very peaceful/quiet. It was easy to get to the other beaches. There is a restaurant that operates all day right in front of the property and they can supply food items and water. 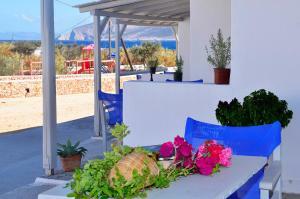 Location veramente formidabile: pasti in veranda con vista mare! Appartamenti più comodi alle spiagge che al centro, che comunque è raggiungibile in 20 minuti a piedi. Cambio asciugamani e lenzuola giornaliero; ampio spazio in veranda, coperta, atrezzata con tavolino, 2 sedie e stendino. Lì davanti c'è anche un parco giochi. Personale estremamente attento e disponibile: check in impeccabile, ma il check out ancora migliore! Avendo il trasferimento nel tardo pomeriggio, abbiamo approfittato di una ulteriore giornata al mare, avendo poi la possibilità di fare una doccia nella struttura principale. Una bella chicca! trasferimenti da e per il porto avvenuti con la massima puntualità. One of our best sellers in Koufonisia! The family-run Harokopou Studio is located in Koufonisi Island, just 50 feet from the sandy Harokopou Beach. 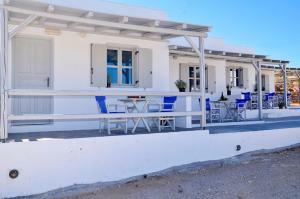 It offers self-catering units with a patio overlooking the Aegean Sea. Free 2-way transfer from the port can be arranged. 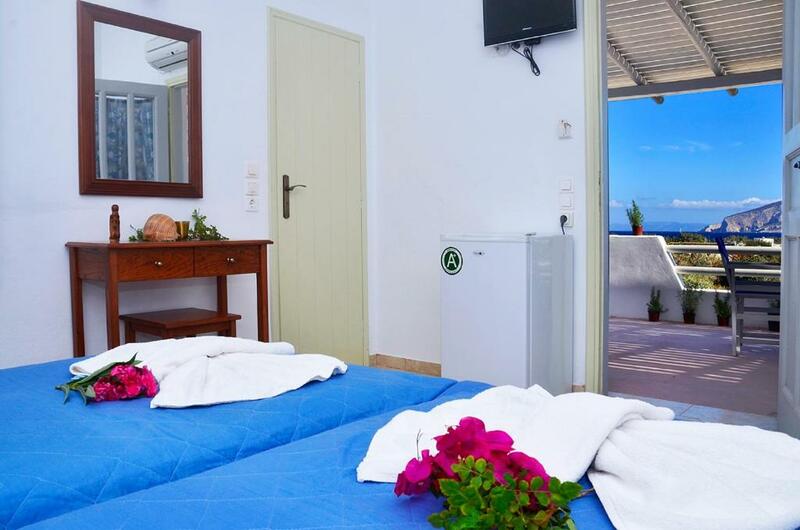 Simply decorated with wooden furnishings and white-washed walls, the studios and apartments of Harokopou have a kitchenette with fridge and cooking hobs. Each unit is equipped with air conditioning and a TV. The private bathroom comes with a shower. 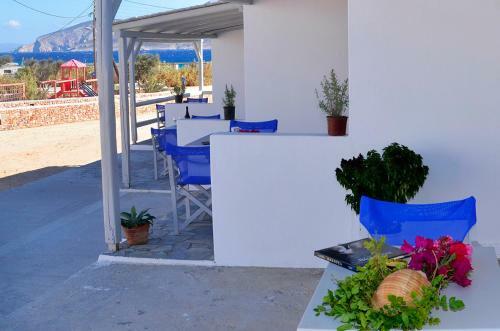 Harokopou Studios is located 1.6 mi from Koufonisi Port and 1.2 mi from the center of Koufonisi, where a variety of taverns and bars is featured. The sandy beach of Pori is at 2,300 feet. Free public parking can be found on site. 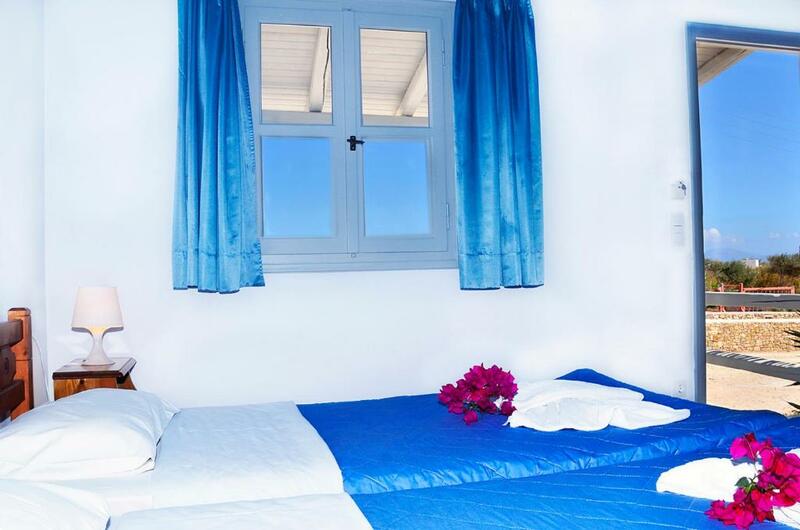 When would you like to stay at Harokopou Studios? 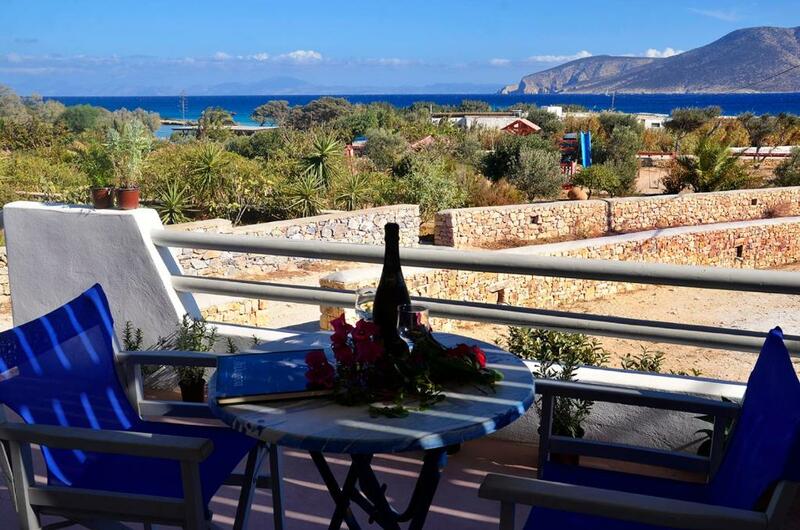 Enjoying views over the Aegean Sea from its patio, this studio features a kitchenette with fridge and cooking hobs. Air conditioning and a TV are available. Enjoying views over the Aegean Sea from its patio, this air-conditioned apartment consists of a separate bedroom and a bedroom with kitchenette. A fridge, cooking hobs and a TV are available. House Rules Harokopou Studios takes special requests – add in the next step! Harokopou Studios accepts these cards and reserves the right to temporarily hold an amount prior to arrival. There is a free 2-way transfer from Koufonisi Port. 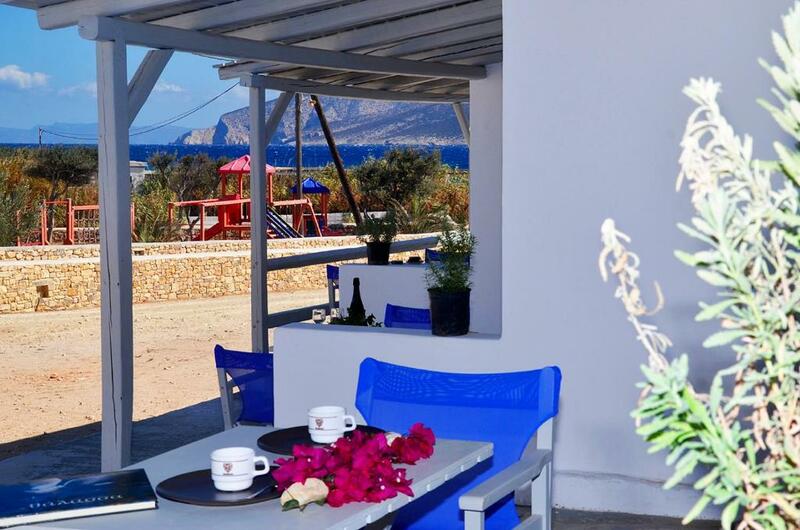 Guests who would like to use the service, are kindly requested to inform the property in advance. Please note that the payment is made by cash upon arrival. Credit card details are provided only to guarantee your reservation. Please inform Harokopou Studios of your expected arrival time in advance. You can use the Special Requests box when booking, or contact the property directly using the contact details in your confirmation. That it was not specified that the check-in happens at another hotel and that there is no reception or desk close to the room. That there was no service to help us carry some supermarket shopping from the port to the room. We should have inquired on renting a bike or a vespa. The (typical) duvet cover was very dirty and placed on top of clean sheets and clean rowels were placed on this duvet. The shower door was broken. Kitchen was advertised as efficiency however was really really basic. We survived, but some more places to store things could be useful (pots/pans etc). Its also a good place for "internet dieting" or downshifting as there is no internet in the apartments. My booking.com app double booked me and the property weren't prepared to refund me even though I was the only person, and it was an obvious and genuine error. The owner was very gracious and polite however his reasoning was "many individuals book several rooms, therefore he expected other guests and took booking in good faith". I couldn't persuade him to reconsider so was billed twice. I stayed 3 nights. We paid 75 Euro/night. I believe that this apartment should cost maximum 50-55 Euro. Further, it was not clear when the cleaning operations were taking place. One day the cleaning personnel was reaching us at 13.00, the next day after 16.00. Location as well as the apartment overall. Room on a dusty road, on ground floor, wet, very small, in a word claustrophobic...without garden and mine also without terrace. Very low value for money: I paid before seeing the room 100 euro pro night, for a "studio" of the value of less than an half.